Though progressive calisthenics training brings plenty of benefits, ranging from increased flexibility, control, and of course, strength, your body perceives it as a stress. As such, the body builds resistance toward it, which manifests in you getting stronger. Twenty push-ups today might force an adaptation, but twenty push-ups a month later might not. One way to continue getting stronger on a consistent basis is to pick harder exercises as time goes by (you could begin with band-assisted pull-ups, then full pull-ups, then clapping pull-ups, etc), or by adding reps to your sets (do 3 sets of 30 squats today, 3 sets of 32 next time, etc). Most calisthenics trainers will recommend these two main variables in order to make their workouts harder and induce an adaptation. At some point, however, our recovery cannot keep up with our want for reps or added difficulty. We’ve all been there: you were supposed to do 15 hanging leg raises today (couple more than last time), but you just could not go past 12. So what do you do? This is actually a personal example of a 7-week cycle I did with one-arm push-ups. I was only able to manage 3 reps in one set before week 1. Clearly, with such a hard exercise, doing 3 sets and adding reps on a weekly basis would burn me out incredibly fast. So instead, I chose sets of one less rep (sets of 2 reps), and did more and more sets each session! By the time week 3 rolls, doing sets of 3 is actually quite easy (you’ve gotten very strong after a 9 sets of 2! ), so you cut the sets down, and begin doing sets of 3. Then add more sets. Repeat as necessary. Deload when you’re feeling fatigued. I’ve actually started using this template for many of my exercises, and with amazing results! In 6 weeks, I was able to move my handstand push-ups from 4 rep-max (RM) to a 7 RM. For those math geeks out there (like myself), consider a 4RM is about 90% of a 1RM while a 7 RM is close to 82% of a 1RM. So the ratio of your new 1RM to your old 1 RM is of 0.9/0.82 = 1.10. You could say this is akin to boosting your 1RM in a barbell lift by 10% in a measly 6 weeks! Second, because I expect to build up to high volume with many sets, my choice of reps-per-set is conservative at the beginning. So for the first four weeks or so of these cycles, I stay away from failure and really get to concentrate on tension, technique and form. When the cycle gets tough and your sets are much closer to failure, you’ll find strength coming out of nowhere because you built up this foundation at the beginning of the cycle. Once you’re satisfied with your max, switch to a harder exercise. This is a vital part of progressive calisthenics! Note that the idea of adding sets instead of reps in order to get stronger is incredibly flexible. It is more suited towards max-strength exercises (one where you could perform 3-8 RMs) since adding reps on a weekly basis to the sets can be quite difficult when the exercise is so tough. But it certainly does not have to be twice a week as I’ve chosen to do. A routine that works an exercise 3-4 times a week would also work well. Here, you might prefer to just do 1 more set than the session before until you feel confident enough to increase the amount of reps on each set. Then you’d decrease the sets, do sets of more reps, and build back up. To the beginner student of calisthenics, it is certainly advisable to stick to a few sets, concentrate on form, add reps, and switch to a harder exercise once you’ve squeezed all the strength gains possible from your previous exercise. 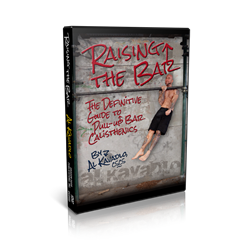 However, the more seasoned calisthenics enthusiast might need one more tool in order to burst through plateaus. I’ve certainly needed it myself when I find my reps just won’t climb no matter how hard I push. At that point, manipulating the amount of sets might be exactly what you need to bring about continuous strength improvements. Juan De Jesus is a Sophomore at MIT studying Electrical Engineering and Computer Science. 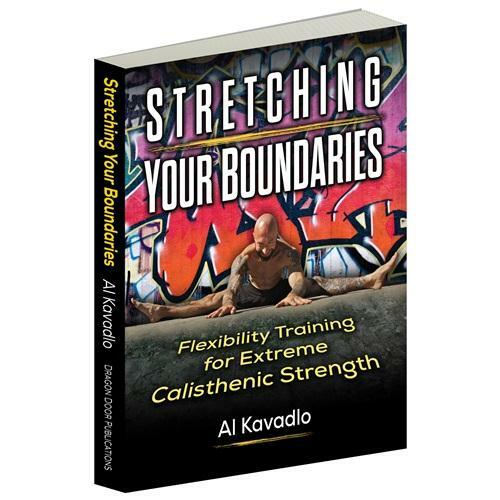 His enthusiasm for bodyweight and minimalist training was born in high school with his workout club Body Strength by Calisthenics (BSC) and has stayed with him ever since. If you are anything like me (which means people call you crazy, but that’s another story) you love to work out. You cannot go a day without training and you feel itchy when you miss a workout. I’ve certainly been there while traveling or when I was stretched thin from work and social commitments. I get a bit moody and my feet start trembling. You may call me addicted. But all this name calling is total nonsense, because there is a sound way to develop the resilience necessary to work out daily. The good news: I’m gonna tell you about it. Ready? Good, let’s get to it then. So, let’s first consider the why before we delve into the how. There’s a good number of reasons why it’s pretty neat to be able to work out daily. Habit building: People who struggle working out consistently might find it harder to collect enough will power 3 times a week compared to working out daily. But how can working out less often be harder? Because that way, it’s not a habit. When I come home after work, I change into my workout clothes, find a pull-up bar and do my workout. I don’t ponder about this, I just do it. It’s automatic. By working out only 3 times a week, it’s tempting to postpone a workout because every time, it’s a decision that has to be made. More practice time: If your main goal is mere strength, a high frequency (HF) program is what you need. The more often you practice a certain skill, the faster your progress. And if you, like me, have a long wish list of feats of strength you want to accomplish, that additional practice time gives you room to sneak in one or two more moves you can practice. Plateau busting: When you’re stuck with a progression, say, pistol squats, what can you do? Well, do a lot of pistols or pistol regressions. Do them every day. I dare you to not get better at a move by doing this. Toughening up: When you finally buy into the HF training method, you forget about your excuses. It’s not a big deal anymore when you feel a bit stiff or sense a light muscle soreness. You’ll also learn to really listen to your body, how a good warm-up can do wonders and you will enjoy an enhanced ability to recover from your workouts. If these are not good reasons to train more often, I don’t know what is. An ideal bodybuilding method: Most of the Monday-Wednesday-Friday routines come from the bodybuilding community. And if all you want is bigger guns, HF training as described here is not your best bet. I’m not saying you cannot build muscle with this (in fact I gained visible mass from doing pistols every day). It just might not be optimal for mass gaining. A very structured routine: I’ll describe this in detail below, but to implement HF, you have to learn to go with the flow. Therefore, I recommend this only for strength trainees who A) know exactly what they want from their training and B) have enough experience to scale their workouts. Now, if you want everything from the first list and can manage to miss out on the second one, here is what you need to do. I came across the idea of HF training first by reading Squat Everyday by Matt Perryman. 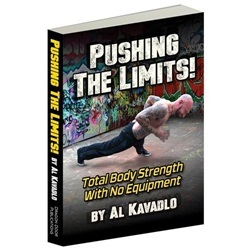 It’s an awesome read and, though it’s geared towards weightlifters, really useful for every fitness enthusiast because it’s about much more than just squats. It’s about questioning sport’s “science” and challenging your belief system from time to time. I never thought I could train that often because I got really sore from my workouts. I was a big fan of the High Intensity Training (HIT) Method and therefore destroyed myself with every workout. Now, my dentist told me that this won’t work if I wanted to work out almost every day. Here’s a diagram that illustrates why this is the case. I call this the FIV triangle (I’m actually not the first person to come up with this diagram. I first saw this in an article by Alex Zinchenko). The orange dot in the middle is metaphorical you. You can be everywhere inside the triangle. The nearer you are to one corner, the more distant you are from the other two. Now, when you want to work out very often, the first thing you have to do is do lower intensity and lower volume workouts (volume meaning the total number of sets you do each week, for every muscle respectively). This is an extreme case and probably resembles something like working out 2 times a day, every day. If that’s you, I envy you for your spare time. Scale every workout so that the dot does not come near the lower corners of the FIV triangle (intensity and volume). Skew the FIV triangle so that a higher frequency is possible with intensity and volume being the same. The skewed triangle below would resemble a good case of strength focused HF training. This means we’re doing HF, medium high intensity and low volume. To produce this kind of training regimen, you need to learn the Art of Going with the Flow and to push through some light discomfort. To elaborate this further, let’s take the pistol as an example. Say you want to get really good at pistols and you therefore try to do them every day. Depending on your level of strength, the pistol can be a very demanding and therefore intense exercise. So doing 5 sets of 5 pistols (5×5) every day might be too much. That’s exactly when you need to listen to your body: If you did a few intense sets of pistols on Monday, scale down on Tuesday. Maybe do a couple of sets of light bodyweight squats followed by one good set of pistols. Maybe Wednesday and Thursday are medium intensity and you feel good to go again on Friday for a higher intensity workout. I plotted an exemplary weekly course of intensity in the diagram below. As you see, the intensity (the orange line) throughout the week varies significantly. This is to keep the balance between volume (dark grey area under the curve) and recovery (light grey area between curve and maximum intensity line). Now we can see why the FIV triangle makes sense: If you keep intensity at maximum every day, there is no recovery. You can go high intensity, but therefore you need to have rest days (so intensity zero). The low intensity days are nothing more than active recovery. In fact, doing lighter regressions of an exercise helps promote blood flow to your muscles and your joints, which in turn speeds up recovery and prevents injury. Spiffy! There is no exact method how to scale each and every workout, because everybody is at a different level, both in strength and recovery ability. That’s something you need to experiment with yourself. The neat thing about adopting this varied intensity scaling and HF training is that it makes you more resilient. You will get sore less often and will enjoy faster recovery. That’s mighty useful if you want to participate in a PCC Workshop, by the way. You won’t be beat up so much after the three days and can take The Century Test like a breeze. So once you get the hang of taming your inner beast during your workouts, you can work on skewing the FIV triangle so that you can take more frequency with the same intensity and volume. But do yourself a favor and be deliberate about your workouts. That means, keep a workout log and write out your workout beforehand on that specific day, based on how you feel. You can correct your plan during the workout but try to keep this at a minimum. For the first few HF weeks, plan out your workouts lighter than you think you can handle. If after a week you think your workouts have been a joke, scale them up a notch. There are a couple of things to keep in mind when riding the HF horse. Firstly, warm-up properly with dynamic stretches, mobility drills or very light regressions of your target skill. After your workouts, I recommend some good old-fashioned stretching. Specifically stretch the muscles involved in your HF training. After about 2 weeks of experimenting with pistols every day, I felt that my legs got really tense and stiff. It wasn’t soreness, just a slight tiredness. So I took a day off, did a nice recovery routine, had a couple of beers (I’m German, that’s how I recover 😉 ) and jumped on the pistol wagon again the next day. So yes, you can take a day off once in a while. Just know that you won’t die from working out with slightly sore muscles. There have been so many times when I felt like I didn’t have enough energy for a productive workout, but after a good warm-up, it usually turned out great. You also don’t have to implement this for all your skills and moves (but you could, I guess). I did this with pistols to finally master them with ease. But you could incorporate this for just about any skill like one-arm push-ups, elbow levers or dragon flags. So there it is. All you need to know to toughen up and practice as often as possible without burning out. Happy tricking! Silvio is a full time medical engineer who loves to practice and teach calisthenics in his free time. He enjoys creating workout plans for his friends and spreads the word about PCC over at his blog, NeatStrength.com. He writes about minimalist fitness and can also be reached through his Facebook page: facebook.com/neatstrength.